The Wildlife Conservation Society (WCS) saves wildlife and wild places worldwide through science, conservation action, education, and inspiring people to value nature. In Madagascar, WCS undertakes conservation in and around the perimeter of the Marika National Park in northeast Madagascar, where they partner with local communities to ensure lasting conservation success. 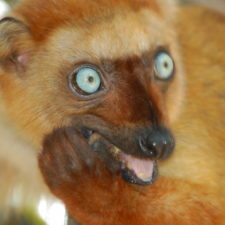 What Lemur Species does WCS Protect? 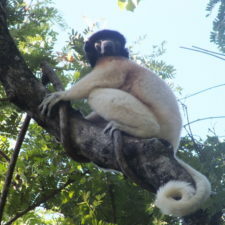 All of WCS’s conservation actions aim to contribute to the protection of lemur species found in the park. 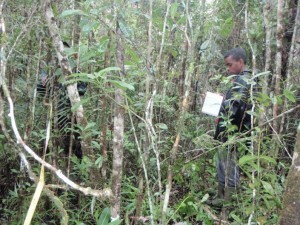 Activities include a comprehensive field-based system of surveillance, law enforcement monitoring and ecological monitoring; restoration and maintenance of critical forestry corridors; research into habitats and species found in the zone; and strengthening of the Government’s ability to manage and enforce forest and marine resource use regulations. WCS and its partners strive to develop the landscape as a model for resource conservation and biodiversity protection through better land stewardship linked to improved livelihoods. 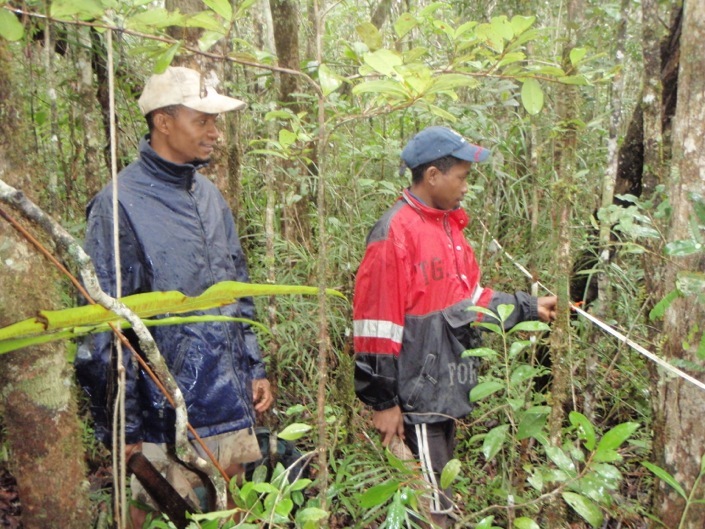 Ecological monitoring of lemurs is conducted annually at the Makira National Park in collaboration with the local communities. 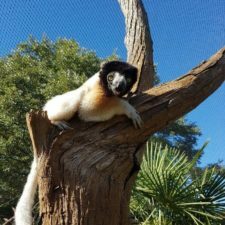 The aim is to detect any changes in the populations of these 7 species; data on lemur abundances, on habitat health, and threats facing biodiversity are collected and analyzed to show the possible variations in lemur populations and help target conservation programming. 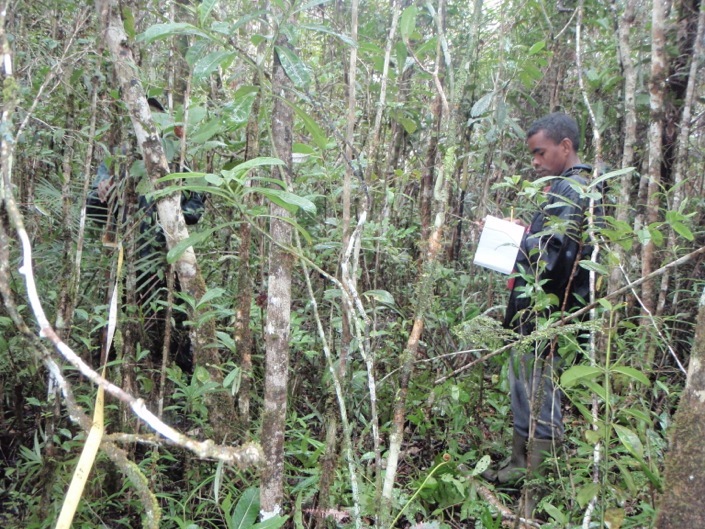 In parallel with this ecological monitoring, WCS Madagascar collaborates with international and national researchers to enrich bio-ecological information on lemurs through various methods including surveys and genetic analysis. 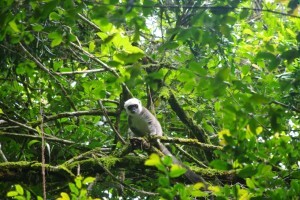 Lastly, in collaboration with GERP Association, WCS helped discover a new species of mouse lemur in this region in 2009. Develop and implement a community ecological monitoring network. This program will also have a community development component, which will involve education and awareness raising programs. In addition, WCS hopes to integrate Silky sifaka conservation in community ecotourism activities that generate economic benefits for the local community. For example, the organization is developing an eco-forest lodge and as well as partnerships with private tourism operators. 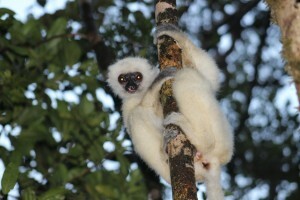 The possibility of observing the Silky Sifaka will be a key attraction of the site and the site therefore represents a tangible opportunity to generate economic benefits for the community resulting from the conservation of this species. WCS works hard to ensure the sustainability of their programming, as there are clear links between improved livelihoods, improved land stewardships, and resource conservation. To achieve this, WCS engages with local communities to build their capacity as effective stewards of their natural resources and to ensure that they derive benefits from the natural resources though promotion of community-based ecotourism and nature based product enterprises, improved agriculture, reinforced governance, and market access. 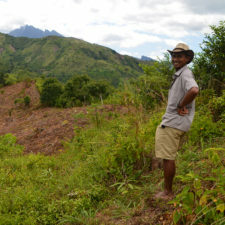 Partnerships are established through the transfer of forest management to local communities. 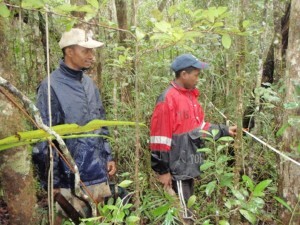 Communities are also involved in patrolling and ecological monitoring. In addition, WCS has trained dozens of local community teams to assist in their data collection programs, thereby increasing the capacity of communities to monitor local biodiversity and ecosystems. WCS is developing a network of community based natural resources management sites in the form of a ‘green belt’ around the protected areas. WCS provides support to communities to improve sustainable management of natural resources through diversification of livelihood options and activities to improve human health and welfare. Finally, WCS is taking a leadership role to secure the area’s financial future, and has developed partnerships with the private sector in the sale of carbon credits from avoided deforestation, ecotourism, and wildlife friendly products.